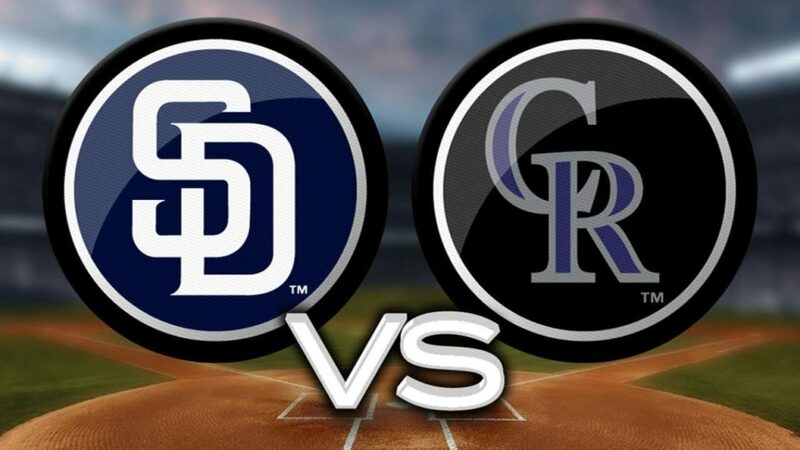 Coming off a very successful road trip, the San Diego Padres welcome the Colorado Rockies for a two-game series. The San Diego Padres have looked very different to start the season as, instead of falling behind the rest of their NL West compatriots, they have taken the lead at the start of the gun by racing to an 11-6 record, good for first place in the division. The Friars spent 11 days on the road and played ten games, first spoiling the home opener of the St. Louis Cardinals by winning two games out of three. San Diego then took their second series against their in-state rivals, the San Francisco Giants, two-games-to-one, then proceeded to win three games out of four at Chase Field against the Arizona Diamondbacks. 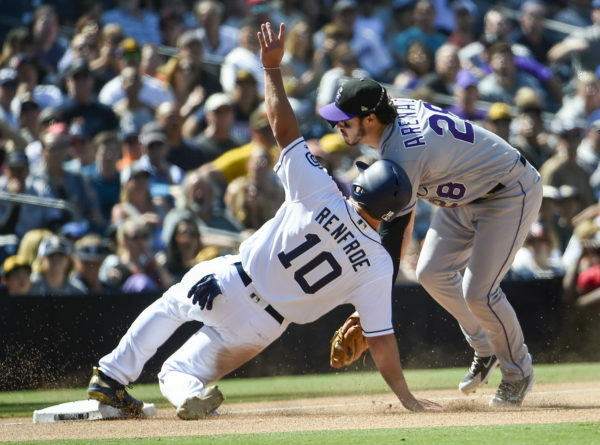 Now, with the Padres back in sunny San Diego and the friendly confines of Petco Park, they are ready to square off with the Colorado Rockies for a quick two-game set. The Rockies limp into Petco Park with a 4-12 record and a laundry list of injuries. A one-hit shutout pitched by German Marquez saved the Rockies from a sweep, but many key players have been struggling to hit above the Mendoza line. So far, Colorado manager Buddy Black has not announced as to who is going to start the series on Monday. Some speculation is that Antonio Senzatela, who joined the Rockies on their road trip, will be the one to toe the hill for the series opener. Senzatela has spent most of the young season in Triple-A Albuquerque after landing on the 10-Day IL with a blister infection on his right heel. With Tyler Anderson unlikely to return to the team thanks to a knee injury, Senzatela seems ready to come off the IL and make his season debut. He’ll look to have a better season than last season, where he posted a 6-6 record with a 4.19 ERA in 23 total games, starting 13 of those. Against San Diego, he is 4-1 with a 3.55 ERA. Lucchesi cruised through his first two games against the Giants and Diamondbacks without allowing a run while striking out 13, but his luck ran out in the rematch with the Giants. San Francisco tagged Lucchesi for seven runs on seven hits, with six runs coming in the second inning on a slew of singles and doubles. Lucchesi is looking to put that start behind him with a return to Petco Park, the location of his first two starts of the season. At 22-years old, Margevicius is the youngest member of the Padres pitching rotation, but that hasn’t stopped him from being one of the best Padres starters so far in the young season. In each of his three starts, he has only allowed one run or less while going at least five innings in each start. He was especially sharp in his last start against San Francisco, tossing six innings of one-run ball while striking out six Giants. However, he is due for some regression as, while his ERA sits at a sterling 1.69, his FIP and xFIP sit at 3.83 and 3.94, respectively. Factor this in with just an 88 MPH fastball, the second slowest amongst starters, and only time will tell how the young hurler fares when not facing the Giants. Margot has quietly been having the best start of his career in center field. 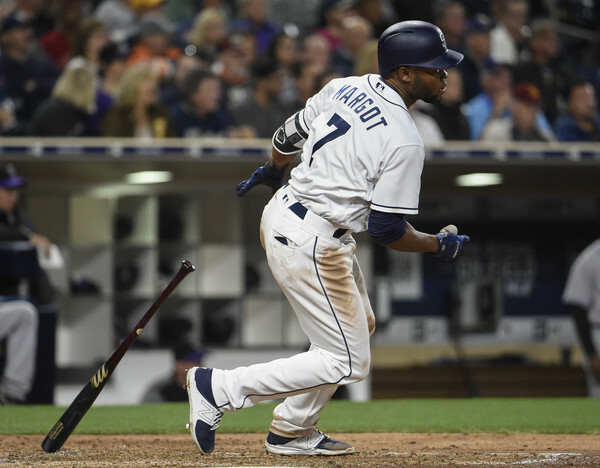 Handling the majority of the playing time at centerfield with both Travis Jankowski and Franchy Cordero on the injured list, Margot has batted over .300 and provided some surprising pop in his bat, slapping four doubles and a leadoff home run in Sunday’s game against Arizona. He’ll look to keep up the hot pace when he comes back to the wide open spaces of Petco Park. Arenado is starting to look like his normal self at the plate, as he clubbed his first home run, a three-run shot, on Sunday and is hitting .254 on the season. Of course, the national spotlight will no doubt be on the Arenado vs. Manny Machado question that has been raging since Machado signed with the Padres and joined the NL West. One swing of Arenado’s mighty bat can change the outcome of the game, so Padres pitchers should choose their locations carefully when facing the former MVP.